Earlier this week, Sarah Ferguson headed out to a glamorous party in Cologne, Germany, with some of her close friends. The Duchess looked stunning an striking black ball gown at the event, which was hosted by Hermann Bühlbecker, CEO of the biscuit manufacturer Lambertz. But it seems that the evening soured a little when Fergie was asked by some reporters at the event about the speculation that her youngest daughter, Princess Eugenie, is pregnant. Talk turned to the recently-married royal as Sarah revealed that her friend’s company, Lambertz, had provided “sweets” for Eugenie’s recent October wedding to Jack Brooksbank. Some royal fans have been speculating over the last few weeks that Eugenie and her new husband are expecting, as betting odds on the newlyweds announcing pregnancy news have dipped to a record low. But it’s clear that Fergie was keen not to address the rumours. And we’re sure Jack and Eugenie are simply happy to enjoy married life without any pressure at all. Later on in the evening, Sarah Ferguson was quick to praise her new son-in-law though, calling him “fantastic”. 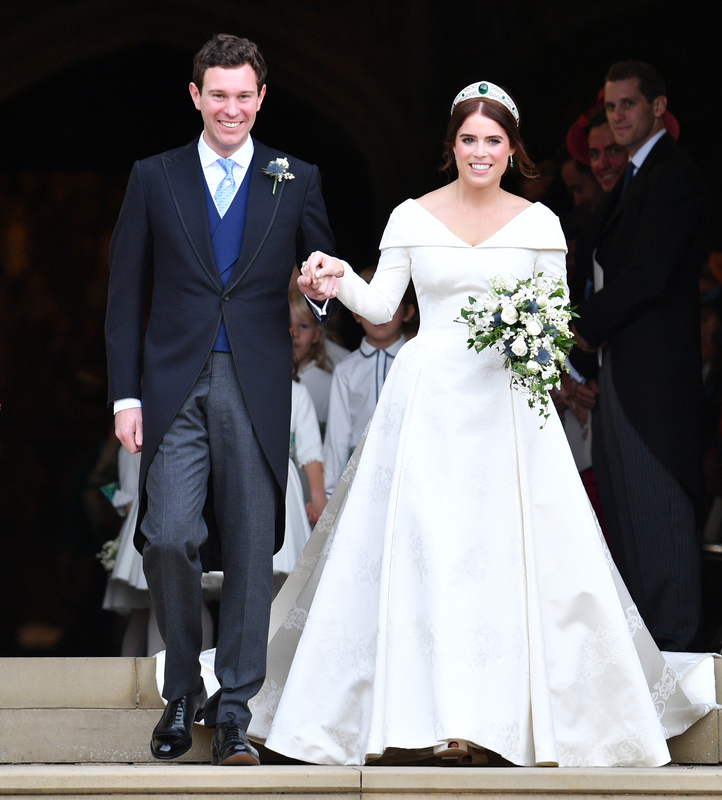 It’s been just four months since Princess Eugenie and Jack married at St. George’s Chapel on 12th October. And recently, the royal reflected on the special day they announced their engagement, with a super sweet Instagram post. Whatever the next year holds for these newlyweds, it’s clear that they’re having the time of their lives at the moment.